‘Let them eat fish’ is a pretty good way to end a successful day of Costa Rica fishing. Anglers who fish Costa Rica can catch some of the world’s tastiest fish off the Pacific and Caribbean coasts. What could be better than a scrumptious dinner of the fresh Dorado (Mahi-Mahi) or Yellowfin Tuna caught earlier that day on an offshore Costa Rican sport fishing charter? 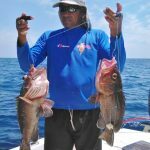 Furthermore, those fishing inshore can savor delicious Snapper, Grouper or even Mackerel, a very under-rated food fish. Anglers who opt for Caribbean fishing will enjoy Snook and in season, also Calba, a smaller Snook species. As we have pointed out in previous Costa Rica fishing blogs on this site, some gamefish are catch-and-release only. Billfish – Black Marlin, Blue Marlin Striped Marlin and Sailfish – fall into this category. So do certain Pacific coast inshore species, like Roosterfish. Furthermore, anglers who catch Tarpon while Caribbean fishing must release them. In addition, anglers on Costa Rica sportfishing charters should release mature females of the species they might otherwise keep. This will help preserve the fishing stock and ensure continued action and great fish dinners! 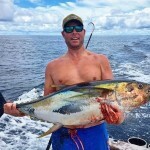 If you catch a nice Yellowfin Tuna, Dorado, Wahoo or Snook, for instance, you can do what you like with it. You can certainly enjoy delicious fresh Sashimi almost immediately. Most Costa Rica fishing captains will carry some soya sauce and a few tubes of wasabi mustard. In addition, the mate will fillet what is left to your specifications. Your hotel restaurant will prepare your catch as you request. Most good restaurants at Costa Rica sportfishing destinations will also cook your catch at a plate price. If you decide on Quepos fishing, take your fish to the Gran Escape. If Tamarindo fishing is your choice, Seasons by Shlomy at the Hotel Arco Iris will prepare a delicious meal for you. And, of course, you can take your Costa Rica fishing catch back to the US or Canada. But before you make any specific plans, call your carrier. Their policies change all the time. Furthermore, with extra luggage and extra weight charges, you might pay a lot more than you bargained for. So, please check first with your carrier. 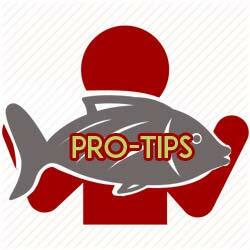 For more specific advice on bringing your Costa Rica fishing catch home, contact FishCostaRica. We will send you a detailed outline of exactly what to bring, as well as the steps you should take. Let us assume that you now have the Dorado you caught fishing Costa Rica at home. Here is a great recipe. In addition, it is simple to prepare. And if you decided not to bring it back, buy some fresh Dorado fillets – Mahi-Mahi, of course – at your local fish market. This Ginger Glazed Mahi-Mahi is bursting with flavor and combines both sweet and sour taste sensations. The 30-minute prep time includes 20 minutes to marinate. In addition, you will find this recipe a snap to make, and so delicious. You’ll love it! Perhaps you enjoyed some Caribbean fishing, and decided to bring back some tasty Snook. Here is a terrific recipe. You will also find it easy to make. Again, if you didn’t bring your Snook back, buy some at the fish market. But if they don’t have Snook, fresh Cod or Halibut will do nicely. Coating fish with nuts and baking it is an easy, foolproof way to cook it elegantly. And it is especially nice with a mild white fish like Snook. The spinach turns a little yellowy because it’s cooked with the acidic lemon juice. However, what you lose in green color is more than made up for in great flavor. Now, what can be a better tribute to a great Costa Rica fishing vacation than a delicious fish dinner? And if you decided not to bring back the fish you caught, you will still enjoy these great recipes.